Election day is almost here. We must decide who we think is better able to govern. Do we pull the lever for the new guy? That will thrust us into the scary unknown. We simply don't know what damage some of these people will be capable of if given the chance. Do we pull the lever for the incumbent, or the appointed successor? That will give us the comfort of predictability. We know we will get more of the same. violation of environmental laws, followed by approval of a Consent Order with no deliberation, followed by hiring of engineers by an "inside group" of wrongdoers also with no deliberation. trashing public sensibilities while public officials surround themselves with opulence. closing streets for the convenience of government officials. an economic development agency advertising a site as 'shovel ready' when it lacked an essential permit, and blowing the opportunity of our lifetimes. the promised "world-class" research facility, Griffiss Institute, that produced no research, but made one very highly paid official before it was turned into an incubator. a lease of prime economic-development land to the State for a Homeland Security Training Center with little deliberation, NO benchmarks for State performance, no real State financial commitment, and almost no activity. the promised Center for Brownfield Studies in Downtown Utica that turned out to be smoke and mirrors. the promised State Data Center that never came. abandoning an airport that was perfectly maintained and sized for this area and squandering federal funds to duplicate what we already had. losing scheduled air passenger service while smaller metro areas (Binghamton, Elmira, Ithaca) manage to retain theirs. Storm water problems . . . traffic congestion. closed door meetings, 7AM meetings, secret meetings. an unheard of 18 year deal, sky high salary, bending the rules, and unusual circumstances surrounding the hiring of a local police chief. burying rubble in public parks with little or no public discussion. carving up public parks with fences for special interest groups without neighborhood input. conviction of an innocent man. loss of a long-enjoyed summer festival. loss of Utica's greatest asset and giving it to people who have not paid for it. Lost professional hockey, lost professional baseball ... loss of a NASCAR Opportunity. If you knew 20 years ago what this region would look like today, would you have stayed? Are you comfortable with more of the same? . . . or are you ready to take a chance? Left Out . . .
Mr. Picente is complaining that he was not invited to Gov. Spitzer's announcement on Hinckley. "It's really upsetting," Picente said, adding of the Spitzer announcements, "I don't know what it's about." . . .
"This is an issue I stuck my neck out on," Picente said. While the governor displayed poor etiquette in snubbing Mr. Picente, what makes Mr. Picente feel he is more worthy of being invited than representatives from Herkimer County who were also left out . . . and might even be cut out of the discussions on what to do with the Reservoir? 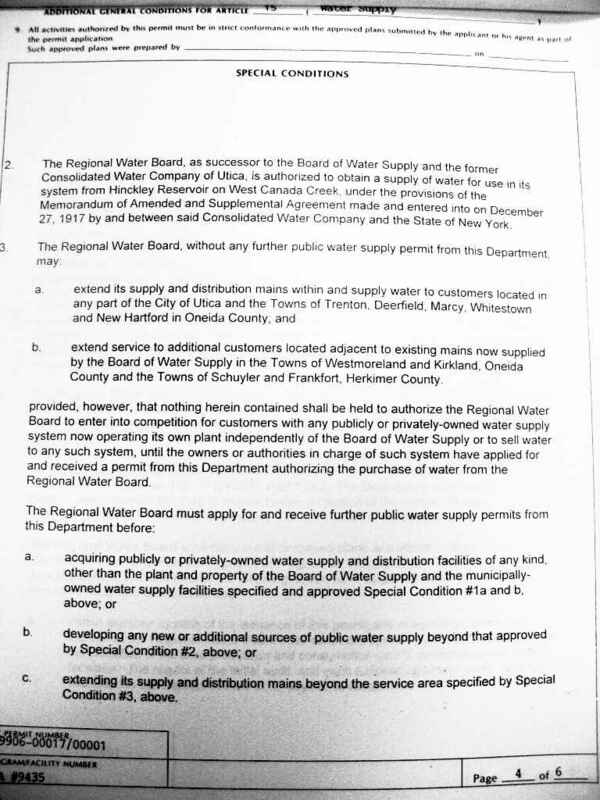 Herkimer County is only the home of the reservoir and the West Canada Creek, and many Herkimer County businesses and residents will be affected by what is done. Signed a Consent Order obliging us to pay for a $66 million project caused by County and Town misfeasance. Hired engineers that were handpicked by the very municipalities responsible for the sewer problem. Announced plans to close Park Avenue and turn it into a County parking lot. Pushed through the State Homeland Security deal that will tie up prime developable land in Whitestown for years and years with no guarantees from the State on what it will actually do with the land. Not a very good track record for someone not even in office for a year. It looks like someone has forgotten who is paying his salary and who he is supposed to serve. Mr. Picente was left out . . . too bad. Getting the Message on Population Decline? "Proposed school renovation voted down in New York Mills"
Are people getting the message that it makes no sense to expand schools when the population is shrinking? Who knows? The vote was close. Maybe NYM voters were simply upset at being played for fools when the school district cited a school closure in the early 1980s as a reason to expand buildings now. Or maybe the NYM SD did not hire enough residents to skew the vote . . . or they did, but even the employees have had enough with taxes. Unfortunately, declining enrollments in New Hartford were not a discussion issue in the main stream media when NH had its capital project vote -- and were not considered in BOCES' expansion project either. Both projects will saddle taxpayers not only with project costs, but maintenance costs well into the future. And be prepared for taxes to support these projects to go even higher, particularly in New Hartford. Why? Demographics. New Hartford is OLD. 23.7% of the population is over 65 compared with 12.4% average in the US. Expect a precipitous drop in population when these people "age out." Then watch housing values tumble -- and taxes rise -- driving even more population loss. As Gear pointed out over the weekend, the "feedback loop" puts us in a death spiral. When the population of the County has already declined by over one fourth, it makes no sense for government, schools, and public infrastructure to expand. We need a graceful way to contract. Peak Season . . . Some of us wondered why Gear at CNY Snakepit had been silent in recent weeks. . . concerned even. Looks like he and his significant other have been making plans ... to move away. A lot of things influenced our final decision, but the most telling was the increasing dysfunction of both our local and state politics. Put simply, our political class is totally devoid of even the most rudimentary leadership ability. The consistent refusal to control tax growth, even as the area undergoes a population loss of almost biblical proportions, means the increasingly small population here will be burdened with higher and higher costs. That feedback loop, unchecked, will produce a death spiral of ever shrinking populations and ever escalating taxation. I can not blame him for leaving. Read more in his post "Love it or Leave It." Good Bye, Good Luck, and Keep in Touch. Putting the Foxes in Charge of the Hen House . . .
That's the impression you get when reading of Gov. Spitzer's plan to "study" Hinckley Reservoir. With the exception of DEC and SEMO, the other parties named to the study group have a vested interest in what goes on at Hinckley -- which may be OK if ALL the interested parties were represented in the group. They are not. There are riparian landowners along West Canada Creek who are not represented. Herkimer County has an interest and is not being represented. And Greater Utica residents are not represented because MVWA has been behaving more like a private company or an Oneida County agency than a municipality looking out for the future well being of its residents. How about a truly INDEPENDENT study of Hinckley Reservoir, INCLUDING where Hinckley fits into the context of all the water supply resources and needs of Oneida and Herkimer Counties? Credibility -- "the quality or power of inspiring belief"
How do you know if someone is telling the truth? You don't. You have to take what you hear, weigh it against what you already know, and see if it logically fits. When things fit together seamlessly, what is said is credible. When you do not know a lot about a subject, things can seem to fit together more easily -- like the early stages of a jigsaw puzzle. When you do not know a lot about a subject, you tend to trust the other person if that person is thought to have higher knowledge -- is an "expert," or if that person has been given a position of trust. It is assumed that the person is being truthful. Sometimes trust can be used to mislead. That is the issue raised by Assemblyman Townsend last week in a press release on "Why we need an independent study of our water supply." He cites several reasons to question whether or not the public is getting a true picture from the Mohawk Valley Water Authority, and reason to question Mr. Becher's assertions in particular. For some reason the major media outlets in Utica-Rome have not sought to print this press release. Perhaps they think it not polite to openly question the credibility of a public official. But Mr. Townsend seems to think there is good reason to. Here is some reading on the subject. Now you decide for yourself whether you want to believe what you hear from the MVWA . . . or not. Proof of Ownership . . . I see that MV EDGE is getting itself into the water dispute, with Mr. DiMeo protecting his baby, the Mohawk Valley Water Authority. This is one person who is sick and tired of hearing EDGE, MVWA, Becher, etc. say things like "Solid research already shows we have an abundant water supply," because the issue is not the abundance water, but who has the rights to it.
" Water authority officials contend they are entitled to draw up to 48.5 million gallons of water a day"
They need to prove that. Make them produce the deeds. They will produce a document from the state that reserves that amount of water from the State's taking for the canal -- but a reservation is not a grant. MVWA has to prove that it purchased its own rights to the water from ALL the private landowners along West Canada Creek below its point of diversion. From at least two of the instruments recorded at the County Clerk's office, it is clear that MVWA has no right to withdraw water when water in the creek is low without replenishment from its own reservoir. In an nutshell, MVWA's permit to operate a water supply depends upon a 1917 agreement with the State being in full force and effect. The permit says so. 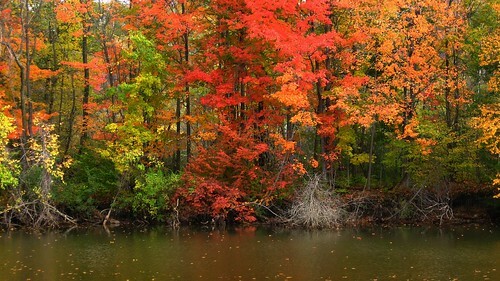 The agreement requires replenishment when flow is low. Without that agreement, MVWA's rights can be no greater than those previously purchased from the private landowners -- some of which also require replenishment. The state agreement is similar to some of the earlier private agreements. The state agreement requires MVWA to maintain its own reservoir at Gray, and to expand it to almost 1/4 the volume of Hinckley in order to take the full 48.5 MGD MVWA now claims. If this is not done, the agreement states there is NO right to take ANY water. Mr. Becher does not tell you these things. 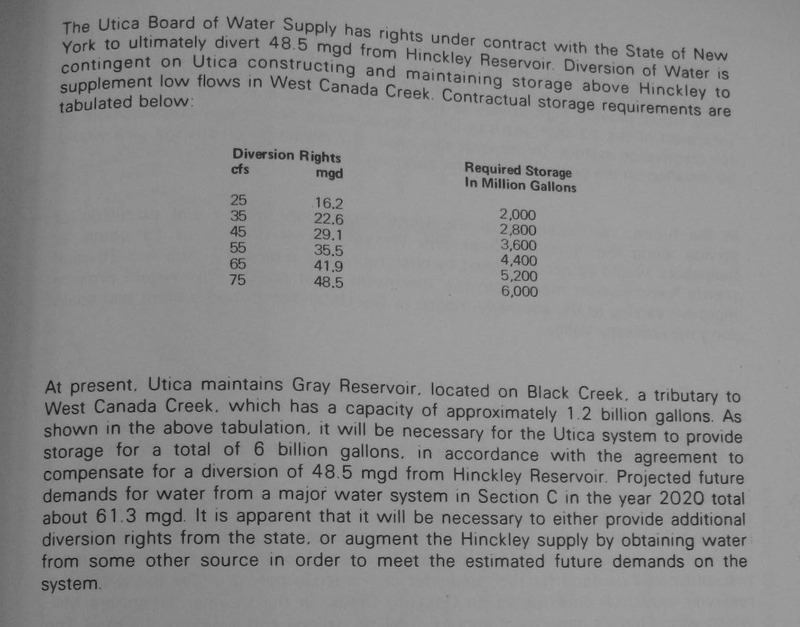 The County's comprehensive water supply study from 1968 acknowledges that the Utica area's right to water depends on the state agreement, and recommends expansion of Gray Reservoir to the full 6 billion gallons to ensure enough water JUST FOR EASTERN ONEIDA COUNTY (and parts of Herkimer). Mr. Picente does not tell you this. Mr. DiMeo does not know what he is talking about. Boundary Boondoggles . . . It seems that some people in New Hartford are never satisfied. An expanded court facility was rejected by the voters, so now there is movement afoot to demolish an historical structure to create more parking for the current court facility. Is this to "get even?" Town Fathers constantly want Bigger and Better . . . more, More, MORE . . . . BUT THE POPULATION IS STAGNANT, so why does Town Government need MORE? Town Officialdom has an Edifice Complex... whether for its own buildings or those of developers that will justify growing more government. Personal ambitions drive the Town . . . and the Town -- to which most people moved to get away from the city -- has become like a city with all the problems of a city. The needs of the RESIDENTS have been lost in all the maneuvering. So the people will be forced to pay more in Taxes and lost Quality of Life so a certain few can play their game. Let's think about Court Facilities . . .
City Court operates during the day . . .
One is 6 miles from the other . . . and the Utica City Court now has a new parking lot with plenty of spaces. One would think that with one court at night and the other during the day it would make sense for the two to share the same facilities . . . But there is that pesky municipal Boundary separating New Hartford from Utica. So I guess that is what we are really paying for . . . . the line on a map -- and the egos hiding behind it. Merging City and Town . . . Finally, someone is getting the message! From Capital 9 News, an Amsterdam alderman -- and mayoral candidate -- is proposing a merger of the City of Amsterdam with the Town of Amsterdam. Amsterdam Alderman (R) Anthony "Babe" Pallotta said, "We work together, we play together, we shop together and we should be all one entity." Are the city and towns of Amsterdam really ready to become one? Pallotta says yes and now's the time for the two to merge. "The town is expanding and growing and the city is withering on the vine. I say by combining both entities together we can grow together," he said. "We work together, we play together, we shop together . . . " One can say the same thing about Utica and New Hartford/Whitestown/etc. In both places, neither city nor suburbs can make significant decisions without affecting each other. In both places boundaries and attitudes divide and disconnect a population of shared interests from effectively controlling its destiny. The result in both places has been urban sprawl -- no real growth -- with regional populations dropping. It will be interesting to see if in Amsterdam the concept moves beyond mere election season talk. The town supervisor seems reticent, perhaps feeling threatened. But Mr. DiMezza might make a good mayor some day! The City and Town of Amsterdam have a lot going for them in this regard compared with Utica and environs. There are fewer jurisdictions to deal with. Water and sewer are still part of city government rather than separate agencies. City and Town share the same name. They share the Greater Amsterdam School District. Merger of the City and Town seems like a "natural." Merger can reconnect a people with the interests they share in common. Instead of city and suburb wasting energy competing with each other, the energy can be used to propel both forward. Amsterdam water and sewer figure prominently in relationships between city and suburb, and are now playing into the "merger" talk: See "Amsterdam's water issues back on tap." Capital News 9 reports "Canal closing early leaves businesses high and dry." It seems that canal marinas are taking a hit because boaters are in a rush trying to get out of the canal before it closes. “This time of year most of your boats are headed back south because they got to get out of the system,” said Bernie Brandow, St.Johnsville Marina Owner. This year they have to get out even earlier. An end of season rush could mean big business for Brandow and other marinas along the Mohawk. Except for one thing, boaters aren't stopping. “They're trying to make up time so they're not stopping at night for dockage or fuel. That's basically the hold up here,” said Brandow. . . . The problem is every time that lock opens one point five millions gallons of water flushes down stream and needs to be replaced with water upstream at the Hinckley reservoir. That's where water is at its lowest level since 1915 when the reservoir was created. Hmm . . . If the Mohawk Valley Water Authority was complying with its old agreement with the state, it would be contributing from its Gray Reservoir the equivalent of its entire draw from Hinckley for drinking water -- about 21 million gallons per day (MGD) based on the Water Authority's 2002 engineering report. Divide by 1.5 MGD for each lock closing and you get an extra 14 lock closings per day that would be possible if MVWA obeyed its agreement -- TIMES the 18 locks between Herkimer and the Hudson. THAT'S 252 fewer lock closings a day that can be attributed by math to MVWA's non-compliance. Sound's like a lot of inconvenience to boaters, disruption to shippers, and lost business for marinas to me! Shhh .... Someone might get the idea that MVWA should pay! There go the rates! How about some more math? The flow out of the dam is now 120 CFS and the authority is not contributing the 30 CFS it is supposed to do. Would a flow of 150CFS be enough to keep the creek open for fishing? That is more lost business for some people. Somehow the pictures of boats lining up, empty marinas, and no fishing signs are more compelling visuals than the one Mr. Becher uses with the fish tank and shot glass to show how "insignificant" the MVWA's actions are. Water for the Future . . .
By now people are starting to realize that even with abundant water resources around us, we will come up short if they are improperly managed. 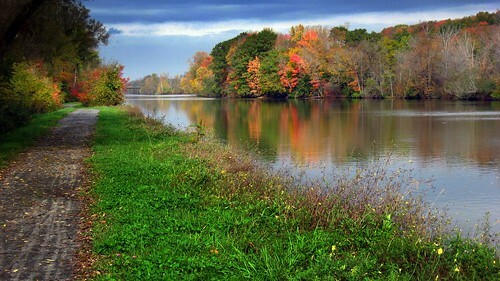 While plenty of blame for our current crisis may be heaped on the Canal Corporation, we must remember that the Mohawk Valley Water Authority is ultimately responsible for ensuring abundant water supplies to Greater Utica. MVWA has abdicated its responsibility. MVWA abdicated its responsibility when it destroyed Gray Dam in 2002 without having a back up plan. When water flows in the West Canada Creek are low -- such as now -- the MVWA is obliged, by several agreements with the state and private landowners, to replace, gallon for gallon, all the water it removes from Hinckley with water from its own reserve reservoir further upstream on the Black Creek at Gray. If the MVWA had properly maintained and operated its Gray Reservoir, there would be no water crisis, because Greater Utica's needs would have been met by releases from its own reservoir at Gray. MVWA abdicated its responsibility when it agreed to supply water to Western Oneida County -- to areas that have easier access to supplies from Rome and from the Onondaga County Water Authority. While not part of our immediate crisis, think of how many MORE people would be on restrictions, and think of how much worse it would be if MVWA goes through with its plans. When Greater Utica's population was increasing 40 years ago, a water shortage was forecast without any water redistribution to the western part of the county. If Greater Utica ever resumes population growth (for example, from an additional 9,000 dwelling units forecast for New Hartford at 'build out' in its Comprehensive Plan Update) there will not be enough water. We need long term planning from our water supplier, not short-term scrambling to solve a financial crunch -- or to meet the desires of some developer. MVWA has shown itself not up to the task it has been given. Has Herkimer County Lost Its Senses? Herkimer County is joining two of its towns to fight AGAINST DOWNSCALING the Jordanville wind project. The Public Service Commission directed the downscaling to prevent certain views from being spoiled -- in other words, to prevent the project from being a nuisance to others. But the towns and the county want the "economic benefits" from the full size project. That is what it is really all about, folks: Money. I volunteer Herkimer County to take the NYRI powerline. Some Good School News . . . Per Today's OD, Westmoreland Road School has won a national No Child Left Behind (NCLB) Blue Ribbon School Award. The school was chosen for the federal honor because students met yearly academic improvement goals for five years, officials said. It is one of 16 schools in the state, and one of nearly 300 in the country to receive the designation . . .
NCLB is constantly maligned -- but the idea of setting goals and then working to meet them seems a common sense approach to success. It's nice to see one school making NCLB work... but even better that it is one nearby. The Feds have announced our fate: we're in the middle of an electric transmission corridor to serve the coastal megalopolis. And if you think New York State might hold sway, think again by checking out Arizona's fate. Clearly the Federal Government is OK with trashing smaller regional economies for the benefit of large metropolitan areas -- so arguments of that nature will fall on deaf ears. It seems to me we should be concentrating on whether the Feds have the right to do this. Whatever happened to the concept of states' rights? An Idea from Buffalo . . . Tax-Free Zones in Upstate Downtowns? That's the idea being floated by Assemblyman Hoyt from Buffalo. “The strength of a region is intimately connected to the strength of its central business districts, and right now, ours is in trouble,” Hoyt said, during a midday news conference held against the backdrop of vacant storefronts along Main Street in downtown Buffalo. The same is true for Greater Utica. Under Hoyt’s plan, which he calls “a work in progress,” retailers operating in the downtown cores of upstate cities would be able to sell their wares without collecting local and state sales taxes. In Buffalo, that would mean an 8.75 percent “discount” for shoppers, which Hoyt predicts would result in improved sales for existing merchants, a new crop of downtown shops, and general improvement in downtown economies. Let's face it. We taxpayers have encouraged suburban malls and big box outlets by building our highway networks . . . as well as other extensions of infrastructure (water, sewer) that would never have existed but for the central city. Witness The Orchard, Consumer Square, and other developments in New Hartford that have arisen in anticipation of the new "840." For the Uticans with cars, the developments are easier to reach than the old downtown -- and Uticans leave their money in New Hartford. But the old downtowns remain behind -- less convenient, vastly underutilized, and a drag on the Utica taxpayers. They cannot practicably be retrofitted to be as convenient as a development designed from the ground up around the automobile. The sales tax break Hoyt proposes just could even the playing field -- think of it as paying the shopper to put up with the inconvenience of an old street network. It could work. Buffalo Pundit, who called attention to this article, calls this a 'reverse Empire Zone.' Instead of businesses getting the break to locate somewhere, the consumer does. Doesn't that sound nice? Read more about it in today's Buffalo News. OC Subsidizing Sprawl in NH . . . It's bad enough when New Hartford permits its (formerly) quiet suburban residential/agricultural character to be transformed into what is indistinguishable from central Long Island (without the nearby beaches). It's worse when Oneida County subsidizes it. . . but that's the story today in the OD: Office park coming to N. Hartford. The Hartford, which has 689 employees, is part of The Hartford Financial Services Group, which is based in Hartford, Conn. . . . The Oneida County Industrial Development Agency’s board of directors Thursday granted preliminary approval of a tax relief package for the project. The development agency approved a 10-year payment in lieu of taxes program, or PILOT, that will allow one-third of the property taxes to be paid for the first five years and two-thirds to be paid for the remaining five years. The agency also granted a sales tax exemption, on construction materials and equipment, that is valued at an estimated $700,000. The tax relief package is tied to the company maintaining 689 jobs for the 10-year period. “The finance, insurance, real estate cluster is one that we want to see growth opportunities for,” said Papale, who said The Hartford is one of the area’s biggest companies in terms of pay and employees. The average salary at the company is in the mid-$40,000s, she said. Create a new area that will require another traffic light on 840 (if the developers get their way) and likely will require more road construction/expansion. Further degrade the quality of life in NH -- at least for the people in that vicinity who probably don't matter to the Town Fathers because they are not wealthy or they live in adjoining Whitestown. Doesn't sound like such a good deal to me. Unless you are the developer . . . or are the Hartford and get new digs subsidized by the taxpayer. If the OCIDA wants to give tax breaks, it should be giving them to encourage companies to locate on former "brownfields" (if I can use that term broadly to mean any formerly developed area that has either been abandoned or is now underutilized) where the infrastructure and services are already in place. But OCIDA is not responsible for providing all the public services and support that this development will need. It is only interested in providing "growth" opportunities for certain "clusters" of businesses. OCIDA's actions are myopic - a product of the ridiculous way local government has been subdivided into uncoordinated separate agencies and municipalities. Perhaps if the functions of OCIDA related to the Greater Utica area were transferred to a Municipality of Greater Utica, we would see decisions made that would create opportunities for everyone, including the residents who are paying the bills. A public hearing on the tax relief program will be at 9 a.m. Friday, Nov. 2, at the New Hartford Community Center on Kellogg Road. The development agency is scheduled to vote on final approval Wednesday, Nov. 7. Of course they schedule the hearing for during the day when people have to be at work . . . gotta work to pay for all this development y'a know.